Where do you need the heating and cooling expert? According to Punxsutawney Phil, we’re in for a lot more winter weather this year. Luckily for you, that means all the more time you can spend warming yourself by the fireplace. And your time in front of the hearth will be all the more enjoyable when you install a gas or woodburning insert in place of your conventional fireplace. You see, fireplaces sort of have an efficiency problem. Sure, it makes your room seem nice and warm when you’re using it—but when you’re not? Overlooked gaps and cracks in your chimney can allow drafts to infiltrate your home, pouring cold air into your interiors. These energy pits often get neglected during a homeowner’s efforts to seal and weatherproof their homes—and aging dampers, cracked brick and stone, and worn flashing are all draft-creating culprits. Meanwhile, your chimney’s design usually doesn’t help, either. It’s built to funnel smoke and ash out of your interiors and up into the air. But when the fire goes out? Your chimney sometimes just funnels warm air out of your home instead—as much as 300 cubic feet per minute, according to the Department of Energy. Meanwhile, the fact is that fireplaces just aren’t all that great at converting fuel into heat. By some estimates, woodburning fireplaces only manage to turn about 15 percent of a log’s potential energy into warmth. So they’re both inefficient for your energy bills, and not all that great at producing heat, either. Still, we understand the appeal. Nothing beats a roaring fire when winter winds howl. Thankfully, there is a way to protect your fireplace from drafts—and even maximize your heating efficiency. They’re called fireplace inserts, and according to some experts, they can potentially reduce your heating costs by 40 percent if you use them frequently. That sounds pretty good, doesn’t it? Here’s everything you need to know. Inserts have several modern features built in that make them better at converting heat and at warming a room. For instance, they may have an attached fan that blows heated air into the room. They usually have a ceramic glass door that radiates heat into your home—and creates a seal between the chimney and your home’s interiors. They also improve the air sealing in your chimney. A professional installer will retrofit your existing chimney with a steel liner and insulation to reduce air leaks. From there, smoke from the fire is let out through a metal flange that fits over the insert and inside your hearth. Keeping the door shut also improves the air quality in your home. And many fireplace inserts are able to achieve efficiency levels that approach 80 percent—that’s an energy savings of $60 to $200 a year if you use it to offset your furnace. Like most home improvement projects—particularly those that include air sealing aspects—inserts are best performed by a knowledgeable professional. They’re definitely not fit for DIY; typically the installer must be factory-trained in order to ensure that the insert is vented and sealed up to code. Further, improper installation could drastically reduce the efficiency of the insert. The DOE says that studies have shown installation makes all the difference with these devices. 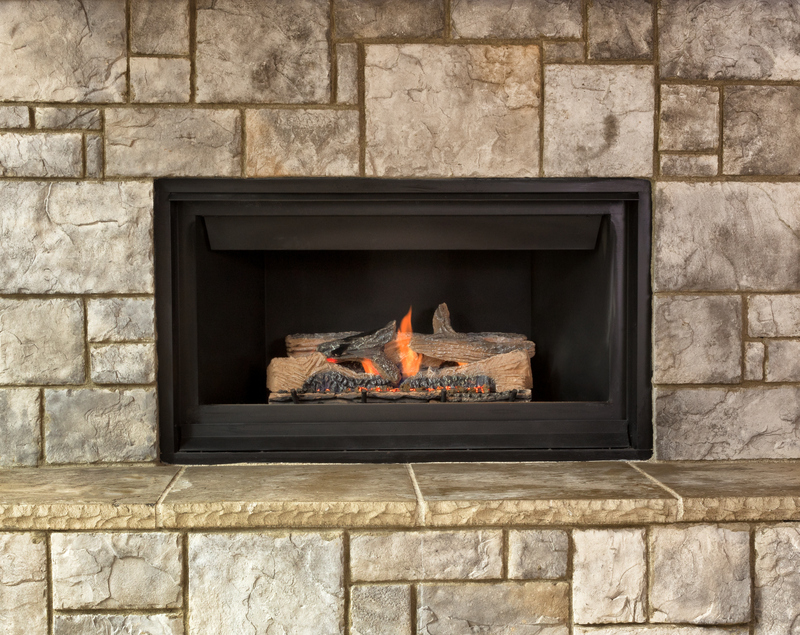 A professional installer will also inspect the fireplace first to determine whether yours is a good candidate for an insert. Some chimneys, like those that come prefab, can’t withstand the high heat of an efficient insert—chimneys must be rated for at least 2,100 degrees Fahrenheit in order to perform well with an insert. That’s a whole lot of heat! 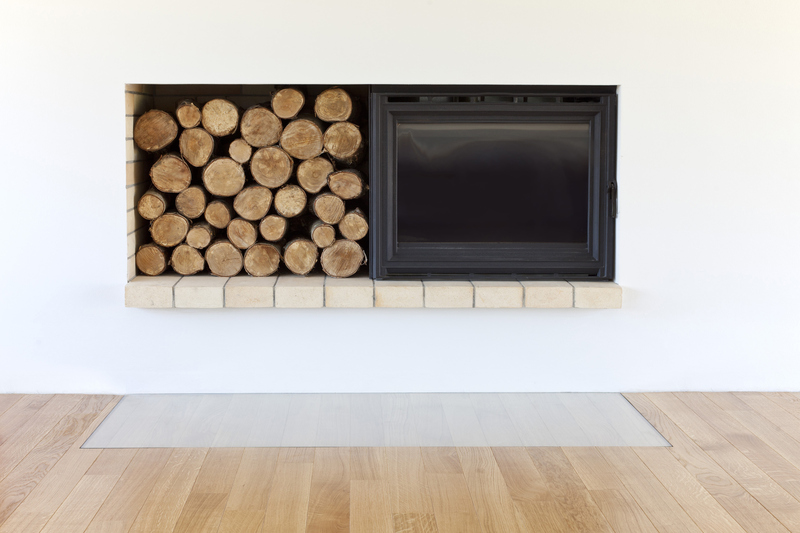 Perhaps the only drawback to a fireplace insert is the cost. With installation, they’ll usually run you between $2,000 to $4,000. In fact, if your chimney needs improvements first, the expense could be even greater. Because of this, many homeowners opt instead for high efficiency woodburning fireplaces, which usually have some design features to root out drafts, like ceramic glass doors, as well as efficiency updates like vents and air circulation systems. But high-end options for efficiency fireplaces can be fairly expensive, as well. Another more affordable choice is to go with a free-standing woodburning stove, which has a much higher fuel efficiency than conventional hearths. Natural gas and wood aren’t your only fuel options, though. If you really want to boost your home’s carbon footprint, a fireplace that runs on recycled materials, like a pellet stove, is a truly eco-friendly option. Pellets are composed from compressed wood waste like sawdust, which can be bought at any hardware store. Heating your home with waste materials? Now that’s really green!